Genetown 50 Online Auction is Open. Register Now. Visit www.ssllc.com/auctions to view all upcoming events. Visit www.ssllc.com/Auctions or click the link above to View Lot Catalog and Register. Late Model Lab and Analytical Equipment from Leading Cambridge Biotech! 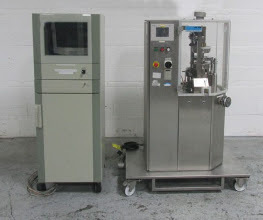 Analyzers, Automation, Centrifuges, Circulating Water Baths, Computer and IT, Electrophoresis, Heating and Cooling, HPLC, Imaging, Liquid Handling, Mass Spectrometers and PCR and Thermal Cyclers. Contact Conor at cobrien@ssllc.com or at 401.526.0055 with any questions. Or you can click on any image to view more details and to request a quote. You are being sent this message because you have shown interest in these related categories. Follow us for Future Auction Events and Featured Equipment Arrivals! 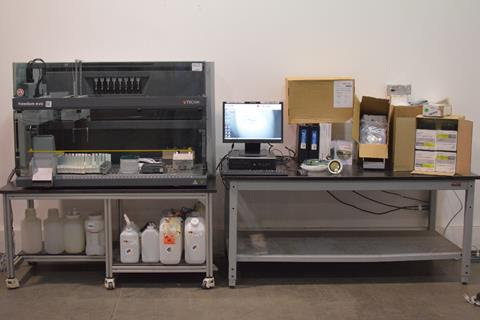 200+ Lots of Late Model Lab and Analytical Equipment from Leading Cambridge Biotech Facilities. LIQUID HANDLERS, FREEZERS, CENTRIFUGES, CHILLERS, PORTABLE FREEZERS, TABLET TESTERS,INCUBATORS AND MORE! 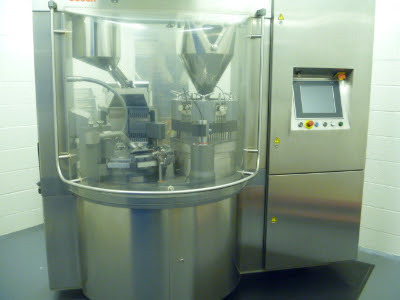 Upcoming Auction….Late Model Pharmaceutical Manufacturing and Packaging Equipment! Tecan Freedom EVO 150 Liquid Handler offers building-block modularity that brings precision, reliable liquid handling and easy-to-use robotics. BioTek Synergy HT Analyzers with HP dx2000 MT Computer utilizes two independent sets of optics to provide uncompromised performance. Biotek EL406 Washer Dispenser w/ BioTek Valve Module offers fast and efficient microplate washing and reagent dispensing in 1536-well microplates, along with 384-well and 96-well formats for increased versatility. MicroFluidics M-110F Microfluidizer Processor provides the highest shear rates of any available mixer or homogenizer on the market today, maximizing the energy-per-unit fluid volume to produce uniform submicron particle and droplet sizes.